JAM HAIR Salon – the highly recommended hairdressers in Croydon are proud to announce our very first aesthetic evening in association in Fine Features (www.fine-features.co.uk). Our evening of skin rejuvenation will take place on Friday 31st January at JAM HAIR Salon, Croydon from 6:30pm with our registered professional nurse Wendy from Fine Features. or please call Jam Salon, Croydon on 020 8916 0773. Fine Features is led by Wendy, a highly qualified nurse with over 30 years of experience in the fields of pathology and health management. Fine Features aesthetic treatments in Croydon was established in 2002 following a demand for aesthetic rejuvenation treatments such as Botox, fillers and aesthetic skin treatments from professionally registered medical aesthetic practitioners. 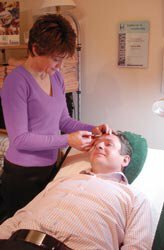 Wendy is a member of the Royal College of Nursing Aesthetic Practitioner Forum and is a mentor to many newly qualified clinicians. At JAM, hairdressing salon in Croydon, we realise that undergoing non-cosmetic treatments such as wrinkle relaxing injections, fillers and skin pigmentation treatments is a big decision. We have scoured the local area for a medical professional, qualified in facial aesthetics to give our customers the highest level of service and value. 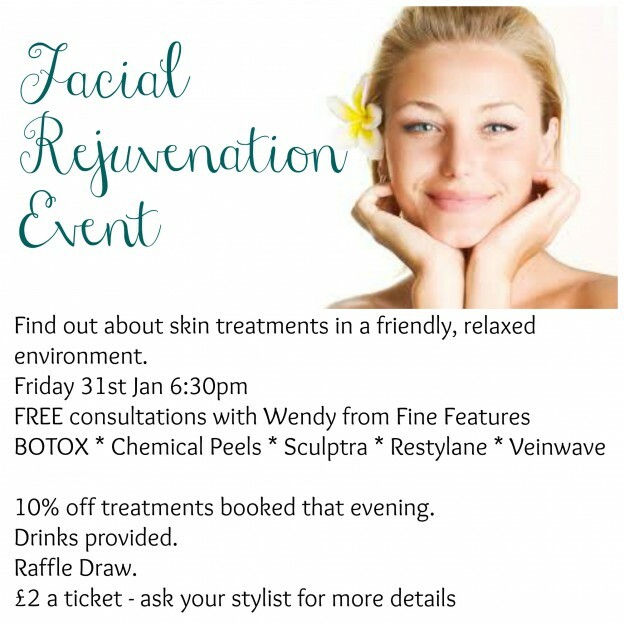 Then book your FREE one to one consultation with our professional Croydon aesthetic nurse Wendy from Fine Features at our aesthetic evening on Friday 31st January from 6:30pm at JAM Salon in Croydon. Call us on 020 8916 0773. If you would like to remove a skin blemish or thread vein, it is possible with the skin treatments from Fine Features. Wendy also offers wrinkle relaxing injections and dermal fillers to tackle frown or smile lines, and she can increase your skinvolume in your cheeks or revealing a smoother, more youthful complexion through a chemical peel. You will be provided with all the information you need to help you decide if, when and how you want to proceed with non-cosmetic procedures from Fine Features. We only have 20 tickets available so just click the link above due to seating. This entry was posted in blog, News, Product News, Salon News on January 6, 2014 by .